As you may or may not have heard, there's a penumbral eclipse coming up on Sept. 16, 2016. 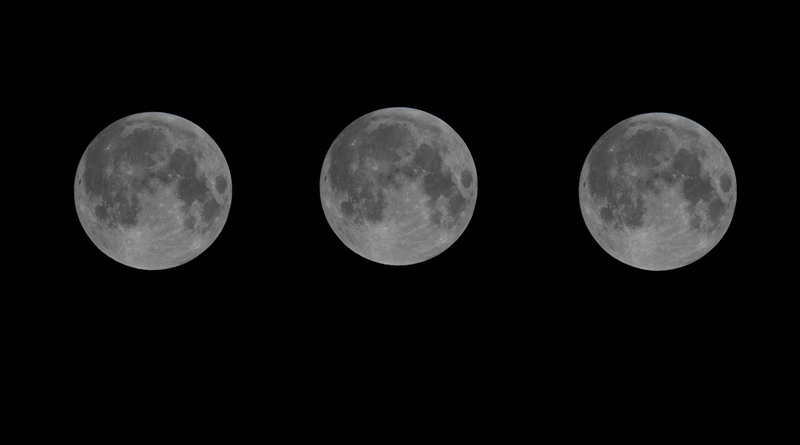 So how often does a penumbral lunar eclipse happen? If you miss this one, when is your next chance? It turns out they're actually rarer than you'd think. Like all lunar eclipses, a penumbral lunar eclipse happens when the Earth moves between the sun and the moon, meaning the sun's light can't reflect off the moon and bounce back to Earth. In a total eclipse, this makes it appear as though the whole moon has disappeared, while in a partial eclipse, it looks as though a big chunk of the moon has gone missing. In a penumbral eclipse, however, no part of the moon disappears completely; the light that reaches the moon is simply partially obscured by the Earth's "penumbra," which is a kind of outer edge of a shadow. This dims the light that hits the moon from the sun without blocking it completely, creating, from our perspective here on Earth, a shadow passing over the moon's surface. Penumbral eclipses don't occur with any kind of predictable regularity, and they are also fairly rare. They make up only about 35 percent of all eclipses, and sometimes don't happen for years at a time. However, when they do occur, there will often be several in a relatively short period of time. For instance, there was another penumbral eclipse in March of this year, and there will be another in February 2017. But after that, you're out of luck until 2020. Here's a list of the five most recent penumbral eclipses. And here are the next five predicted to occur, including the one coming up this month. Who's already getting excited for the eclipse on Independence Day? It's worth noting, however, that not all of these eclipses are visible from the United States In fact, North America is not a good viewing location for the Sept. 16 eclipse. However, we should have a pretty great view of the one coming up in February, and luckily for all of us, the July 4 one in 2020 will be visible from the Americas. So like I said, let's all get excited to see the sky putting on its own light show that night.